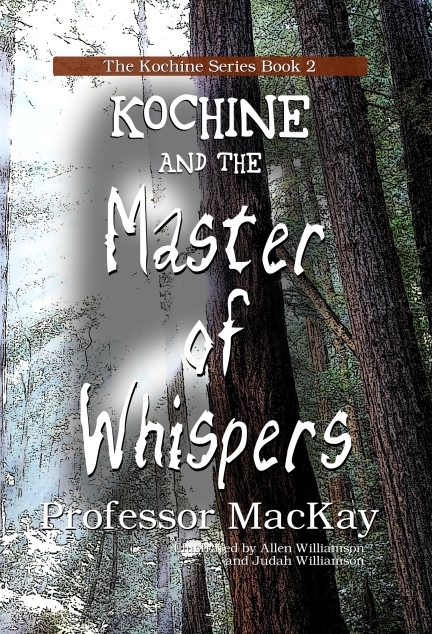 Professor MacKay’s second book in the Kochine Series is now available for purchase from your favorite book retailer. Months after facing the Whisper People and becoming One Who Defeats Shadow, Kochine is on his way to becoming a tracker among his people. But, during his lessons, Kochine faces the Master of Whispers in an encounter that may not end well for Kochine and his family. Kochine must find the strength within him to survive the encounter. Purchase the second book of Kochine Series directly, on Amazon or Barnes and Noble. You can also purchase a copy for your Kindle.